at Eddie Owen Presents' Red Clay Theater in Duluth, GA. 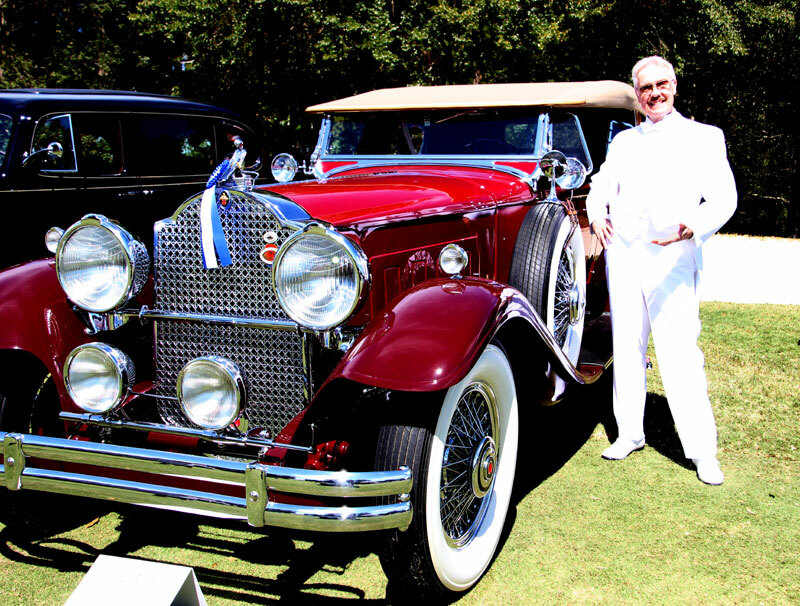 Thanks to Bill Wallet and Harry Krix for making us a part of the second annual Concours d'Elegance, September 30 at Chateau Elan - an incredible celebration of the history of the automobile! At Saturday night's ball, guests were invited to wear clothes from the decade of their choice (note my white tux/tails above), and nostalgia was definitely in the air! We played in the Debussy Ball Room at Elan, with the same emble we'll have at Red Clay on October 20. What a blast! We're sponsored by PRA Audio, makers of the new WiC digital wireless instrument system. The band currently includes Bill Wilson on keys, Emrah Kotan on drums and Deshone Williams on percussion, with occasional guest appearances by Melissa Ellen. I'm teaching private lessons on a variety of instruments with Gwinnett School of Music, including at the new teaching facility at the Red Clay Theater and the School's Lilburn and Grayson locations, and teaching songwriting, arranging and music recording/production in my personal studio in Peachtree Corners. Call me to discuss lessons at 678-464-4790 or visit Gwinnett School of Music. The CAS II "glow-in-the-dark" guitar is nearing completion, incorporating five pickups, PRA Audio WiC digital wireless system and carbon fiber components - please stay tuned... your new guitar will be available, soon! The Muse has made me fall in love with cello (again) - used sparingly on recordings in the past, I'm working up my nerve to play it in public - having a blast with my new "dancing partner," also fitted with a PRA Audio WiC wireless system. April 11, 2015 marked a Record Release Concert at Eddie Owen Presents' Red Clay Theater. Joining us onstage was Emrah Kotan, virtuoso drummer, along with Bill Wilson, Deshone Williams and Doc Samuels. The new suite of songs breaks new ground, but is true to the Elgin Wells approach to musical entertainment, and is now available on CD. Most recently booked to appear September 30 at the Eastman GA "Heart of Georgia Airshow," Starjammer was kept on the ground at home field Lawrenceville, waiting for the weather to clear at Eastman. Although the airshow came off well after a delay for the weather, I was unable to make it to the show since it would have precluded my performing at the concert that night at Chateau Elan, as part of the Concours d'Elegance. However, Crew Chief Gene Timpson got some great video footage during the practice on Friday - 'hope to have an edit available here, soon. Starjammer's performance was enhanced tremendously, recently, with the removal of the (very heavy) onboard speaker system, made unnecessary by a new system that allows me to trigger the ground-based music at airshows from the cockpit and keeping it synchronized with the onboard lights. Thanks to Paul Raley of PRA Audio for making that possible! At her new "fighting weight," Starjammer is finally the airplane I'd hoped she would be - 'can't wait for you to see her in action! Michael Gallagher, writer for World Airshow News, met me at Poplar Grove, IN Airport for an interview and photo mission, facilitated by Poplar Grove icons Steve and Tina Thomas - the most gracious hosts, ever! Steve flew his wonderful Beech 18 as the photo ship (how incredible is THAT! ), so that Mike and his handsome young son could have a world-class view/platform to shoot from. Article to follow.. 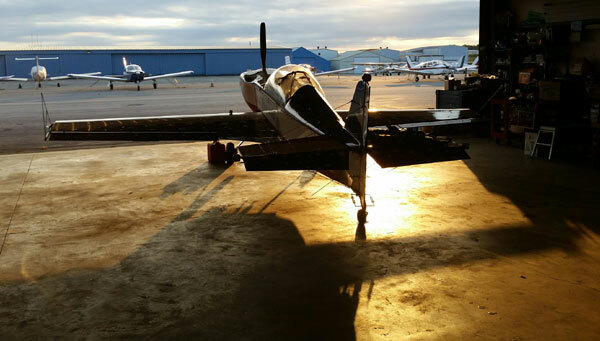 In January, the Gwinnett Daily Post offered a profile of the Starjammer, after a demo at Cherokee County GA Airport. Thanks to those talented young men! If you'd like to see the pictures and video of Starjammer's legacy performances, click HERE. Intended initially as an enhancement to my night airshows, the CAS Guitar is a custom, electric guitar outfitted with LEDs and a special pickup that lets you trigger colored lights, as you play. So many folks have demanded that we make these guitars available that.... we WILL!! Our new company is called "CAS Innovations." The name "CAS" was coined by partner Barry Smith (3DPartz), who noted that everyone who sees this amazing instrument for the first time says, "WOW! That's Cool As Sh*t!!" The name stuck, and we can't wait to make these things available. 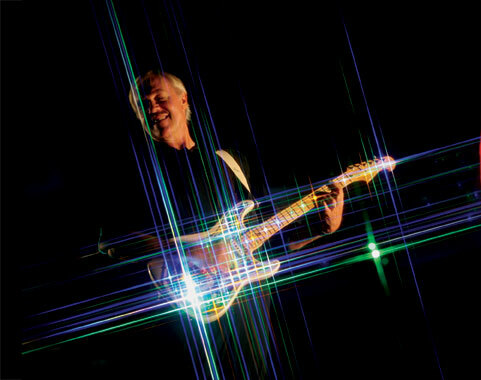 Our first product will be LED-encrusted guitars, of Elgin's original design, followed by percussion instruments that respond to what you play by glowing in the dark!